Talk about dressing up a brownie for the big game. If you are looking for a Super Bowl snack that your guests will definitely be talking about, check out these Super Bowl snack time brownies that Lauryn Cohen created. 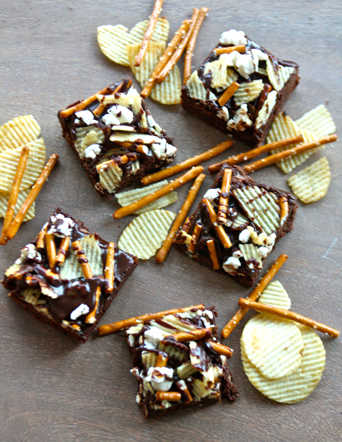 A yummy brownie with salty chips and pretzles on top, drizzled with chocolate. I am always a fan of the salty and sweet together, so these are tempting! You can get the recipe for these snack time brownies over at Pizzazzerie.